After seeing the movie we did not get a real good look at a lot of the clones. I did see that red shock trooper several times. I think it gets made since they are with Palpatine at the end of the flick when the Emperor finds Anakin. I would like to see a regular Barc trooper made. I still want the blue shocktrooper or whatever it's called whom march into the Temple with Anakin. Since I don't know the names of these guys (other than Cody, who I remember from the cartoon), I'd just like to say that after seeing the movie (twice so far), I REALLY want the Clone Commander on Kashyyyk and the Stormtroopers with the red markings that follow Palpatine around. We're getting the Clone Commander (Baccarra) with the dust blinder things on his head later this summer (correct? ), but I think that several of these would work well as post-56 figures for later this fall. At the very least they could/should repaint the 41 Clone for later assortments with the Temple Raid Blue paint scheme, the Utapau orange scheme, and the Palpatine security scheme. I'd like articulated versions of the color schemes instead of the practically static PVC-esque three packs myself. Oh, and after seeing the movie, a regular carded BARC Trooper is a must. Trying to ID all those Clones... That was rough. I caught the Stass Allie/Target Exclusive though as it appears a lot of people missed them. Odd because they had an incredibly clear shot of their markings. Neyo and his partner have different helmets than the Target Exclusive clone, though. Did the second Clone with Neyo have a different helmet or one similar to Commander Neyo's? That shot with him, Stass Allie and the other clone on BARC Speeders was REALLY quick. Also, were they on Saleucami? That wasn't very clear. The BARC Troopers were awesome. Especially when they came over the top of that Wroshyr tree limb on Kasshyyyk and started firing on the Droid Army. Give those guys their rifles and some decent articulation and I'll be pretty happy. As for the various legions, it seems that the Utapau legion, the troops on Kasshyyyk, the Spec Ops troopers and Shock Troopers got most of the screen time. The troops on Mygeeto and Felucia got less, and the ones on Cato Neimoidia (the pilots) and Saleucami got the least. 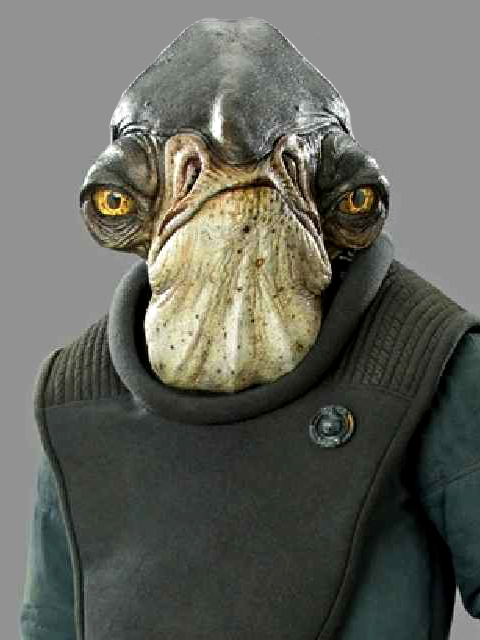 Does it seem strange to anyone that almost ALL of the troops on Kasshyyyk were BARC Troopers? At least with the exception of Commander Gree, those are the only Clones on Kasshyyyk that I could pick out. I'm 99% sure that Commander Neyo and his partner had matching helmets... but it was so quick I can't say for sure. And according to StarWars.com, they were at Saleucami with Stass Allie. Saleucami? I don't remember seeing Saleucami. According to the comics I've read (up to #75) Stass Allie wasn't on Saleucami. Quinlan Vos led the attack there under instruction of Oppo Rancisis, with the help of Aayla Secura, K'kruhk, A'Sharad Hett, and a few others. And it was Bacara looking troops that supported those Jedi. Stass Allie was ordered to go to Saleucami in Reversal of Fortune, the online webstrip. After seeing the film, I'm really hoping we see some more of these clones down the road. Sure, the color/helmet variations might be stuck in there in many cases just to sell more toys, but I guess they've got me sold. I'd really like to see some of the Biker Scout-esque troopers on Kashyyyk, as well as the Snowtrooper-type troopers that gunned down Ki Adi. Also, the "Neyo" clones (with different helmets) taking down Stass Allie, the Utapau yellow/gold clones, and well...all the others that have already been mentioned here (Fox, Cody, Blue 501st, etc.). Lots of clone goodness. *shakes head* I'm still irrationally peeved by the green Kashyyyk troopers. It doesn't fit with the design logic of the OT -- we NEVER saw stormtroopers in camo, even in the EU as far as I recall. I know it shouldn't bug me so much, but it does. "The initial digital model of Bly had red markings, but this was changed to yellow to better suit the Felucia environment. Imagery of the red Bly saw publication and became the basis of a Hasbro action figure, even though a clone trooper with those particular markings did not appear in Episode III. " So, in a way, we did already get Commander Bly. So, does this mean that the Generic #33 "Clone Commander" is now an EU figure because he never appeared in the movie (according to the Official Site)? I emailed hasbro and asked them if they're making any new clone commanders like gree,appo,fox,cody,bly,and thire but they said they are not planning to do so at the moment.